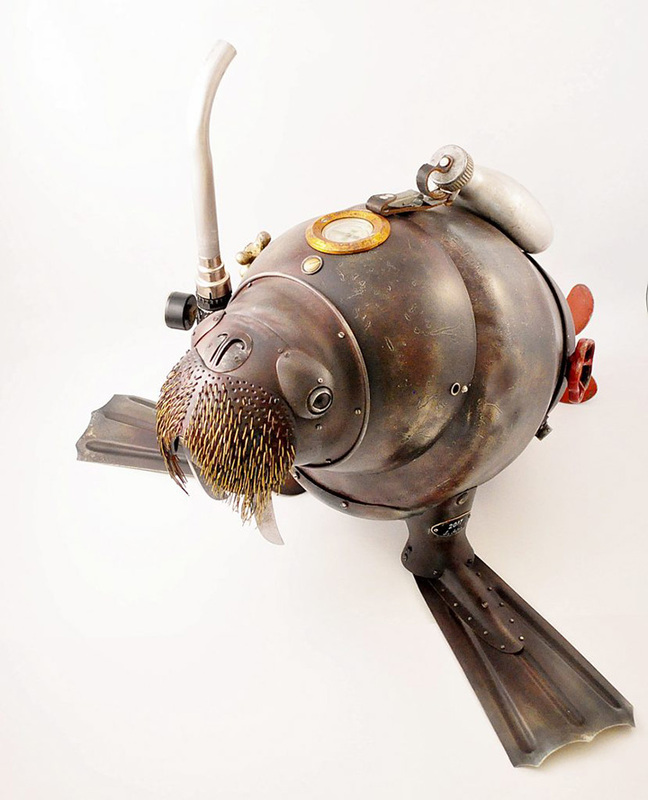 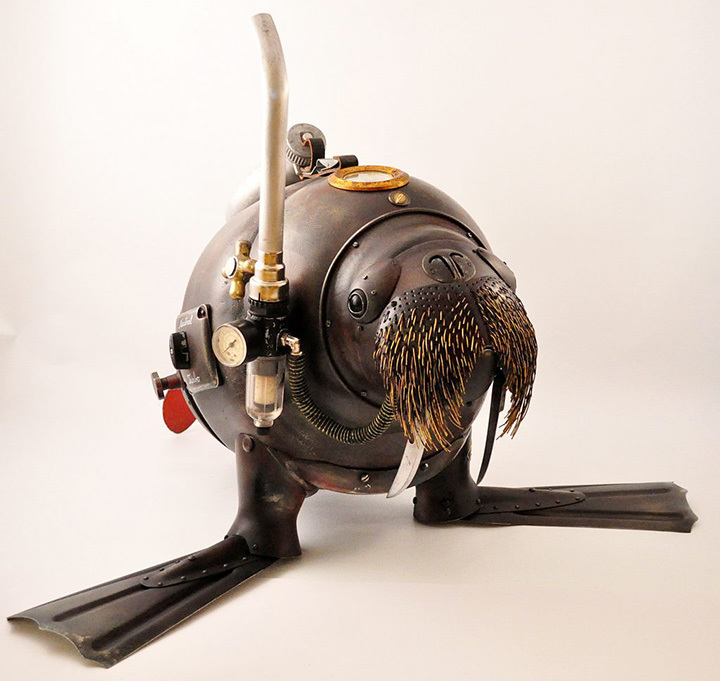 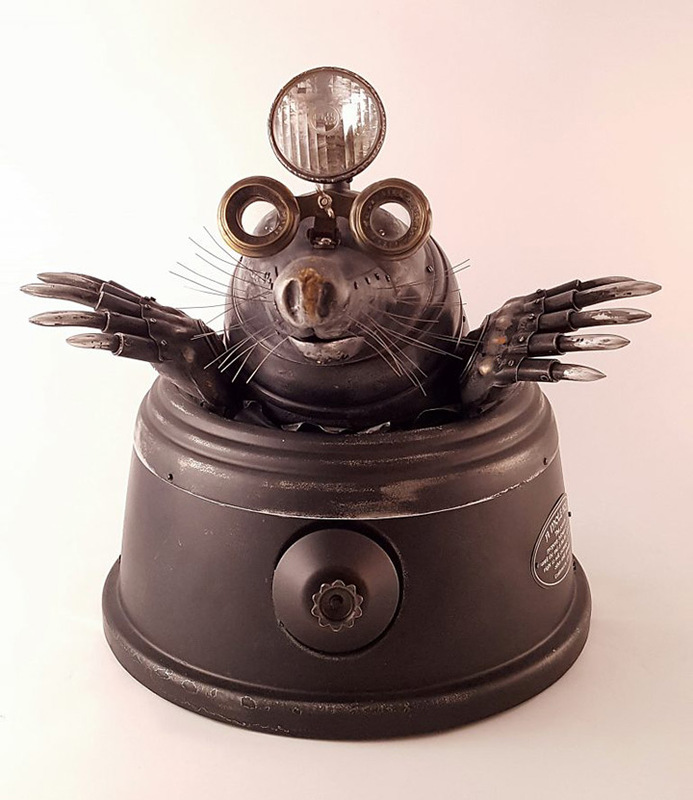 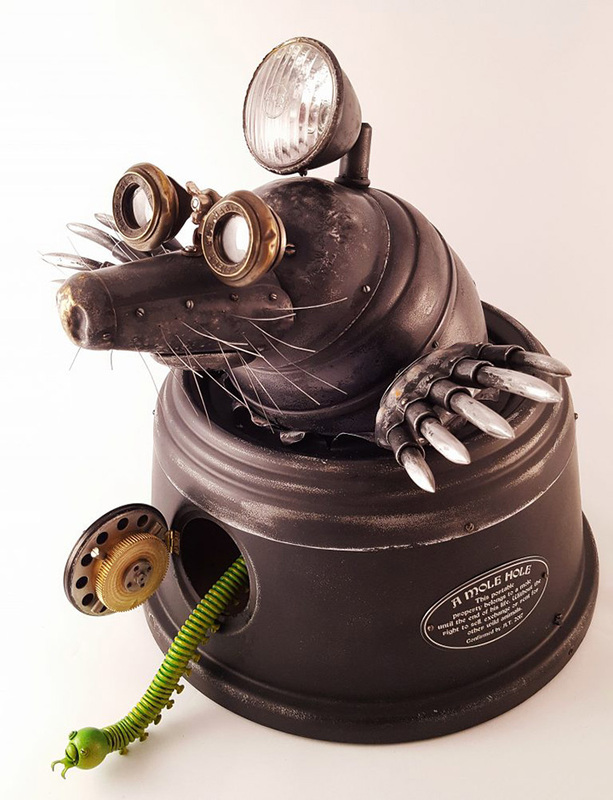 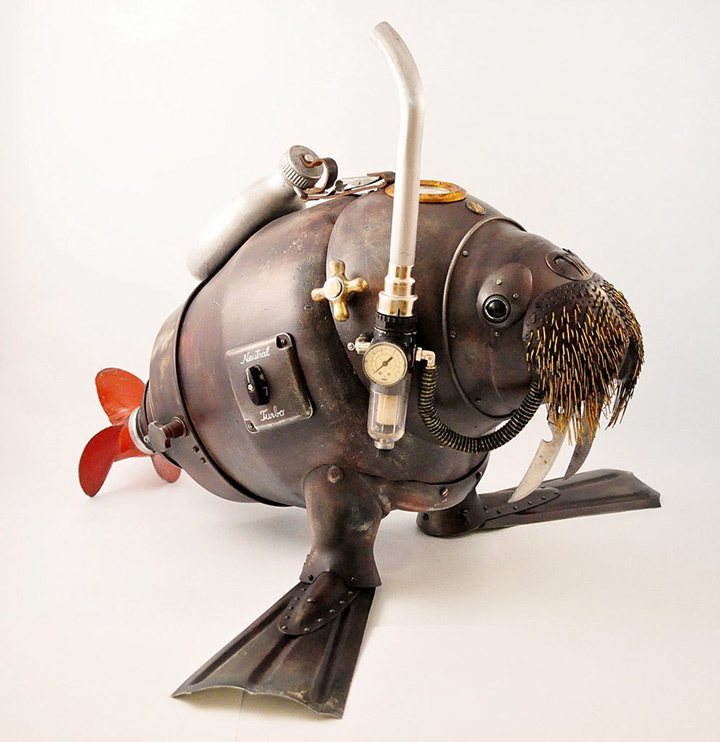 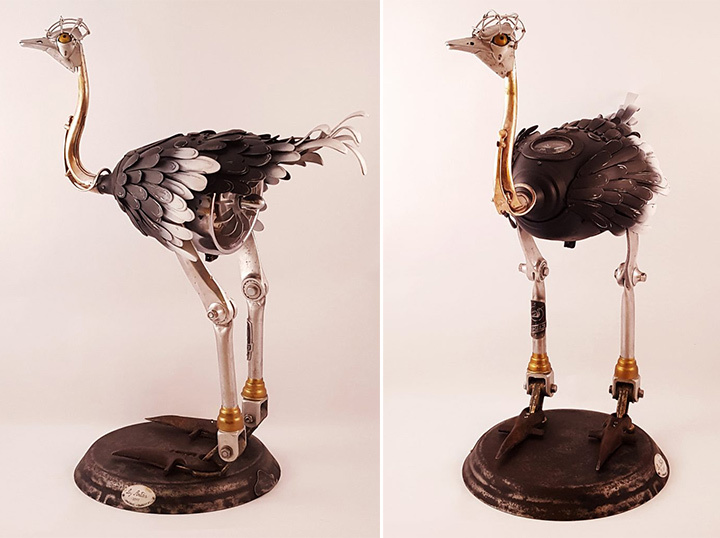 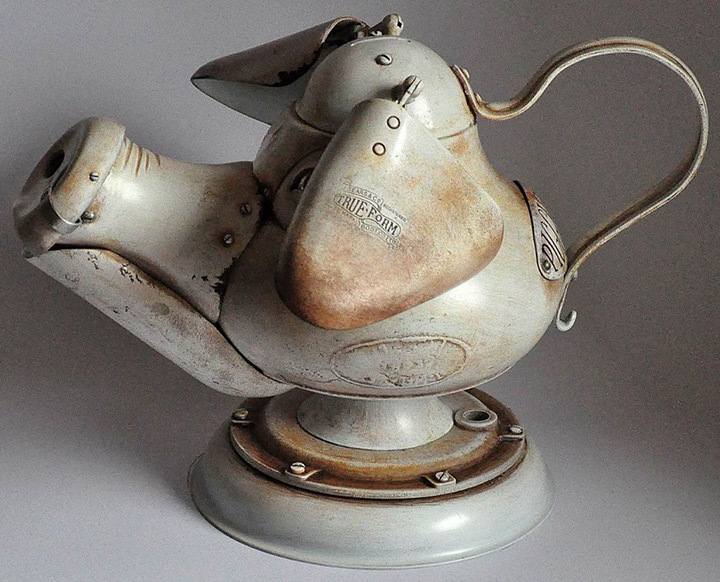 An artist from Lithuania, Artūras has dedicated himself for turning discarded materials into arts inspired by steampunk style. 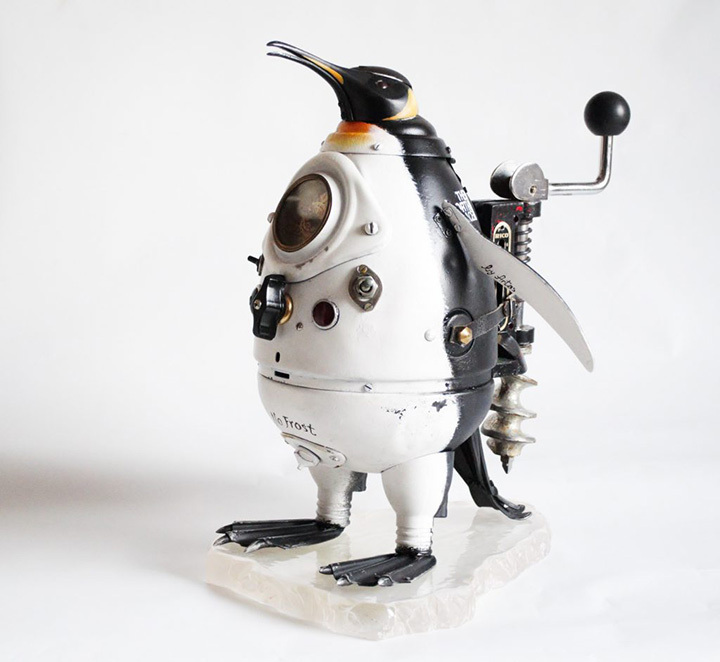 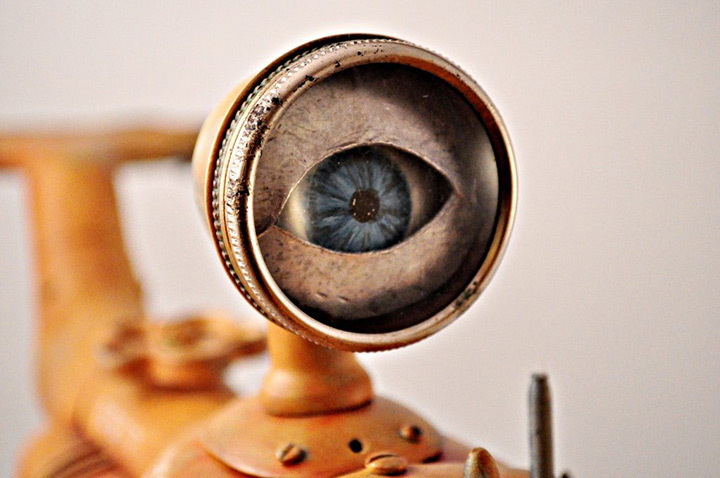 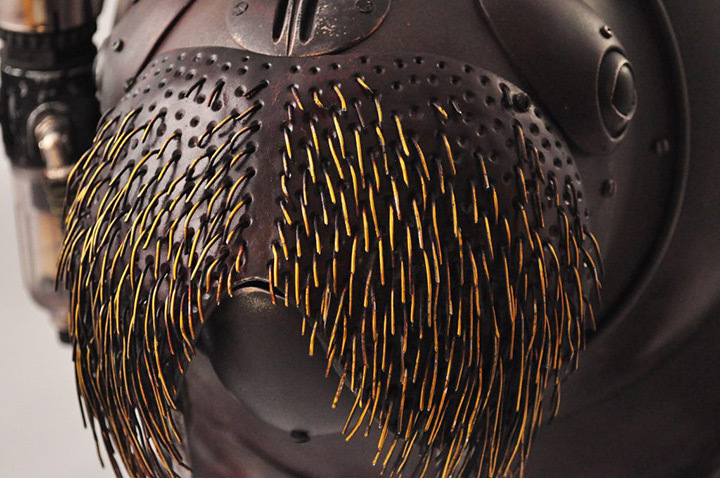 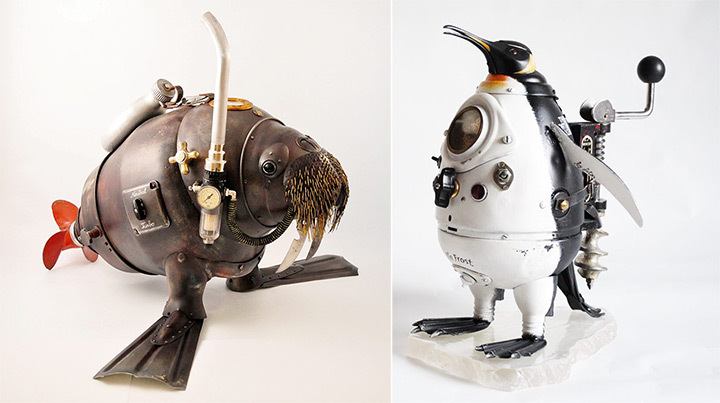 He uses various antique stuff and metal details to achieve some unique and eye-catching sculptures that make you ponder for a while of their formation. 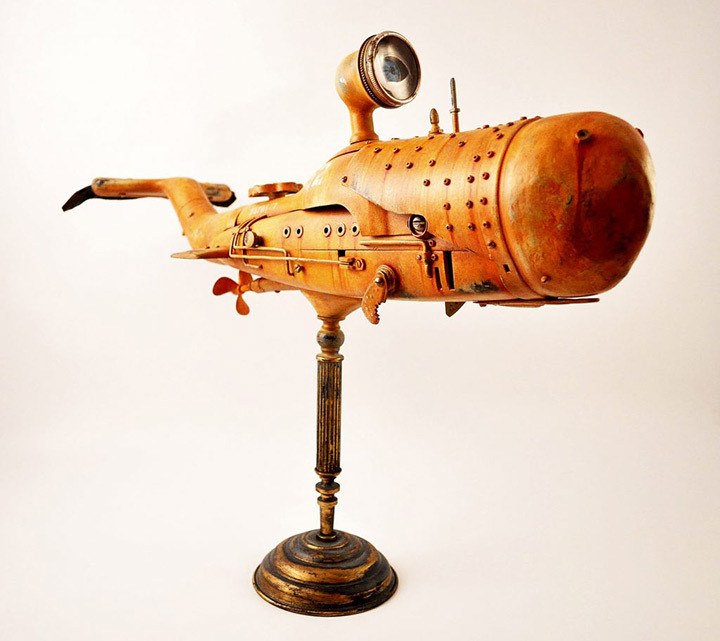 For example, one of his functional sculptures titled as ‘A BLUE OCTOPUS’. 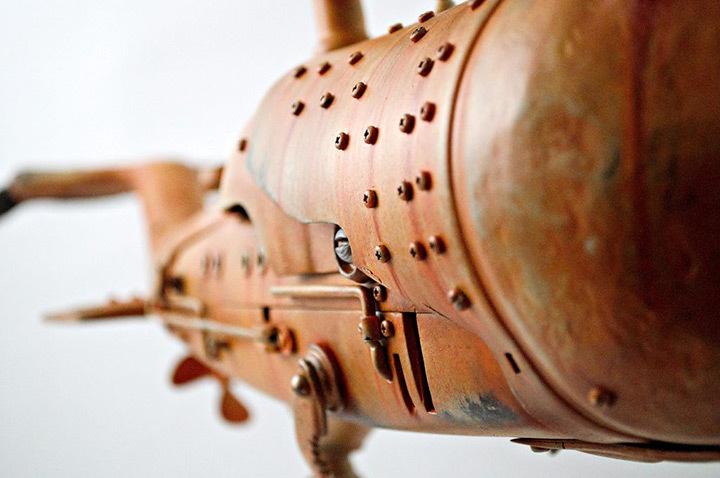 The artist says the idea was born as he was turning over an old blow instrument. 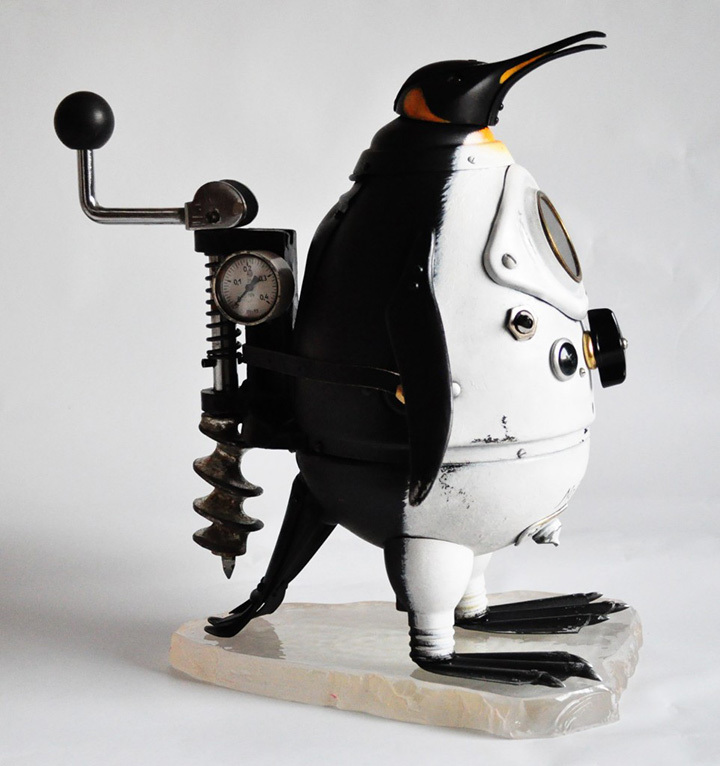 Its body is made from an old part (horn) of an old blow instrument, a pocket watch opening mechanism with the cover. 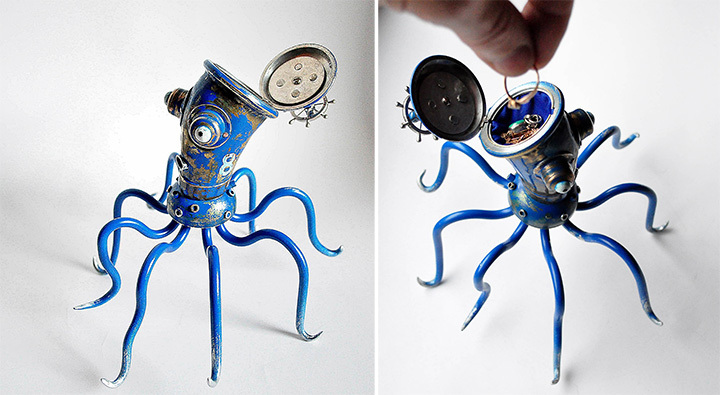 And its tentacles are made of 6 mm aluminum wire. 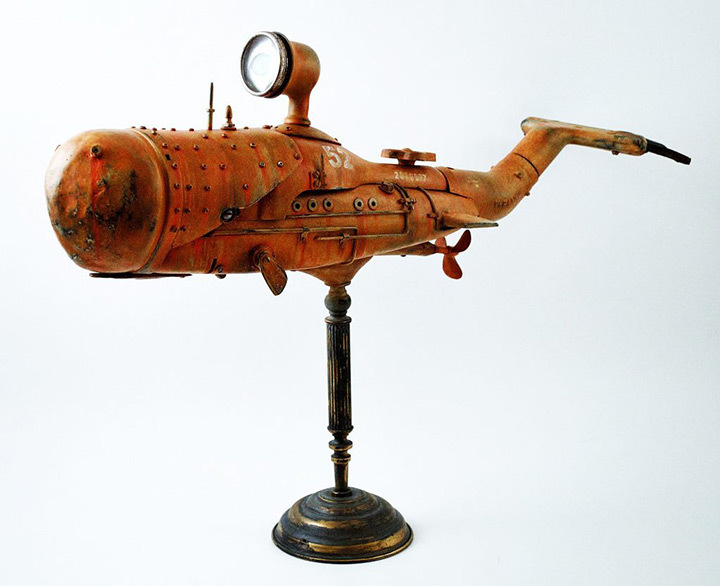 Measuring just 19 x 19 cm this blue octopus is also a jewelry box where you can easily open its top part and store jewels. 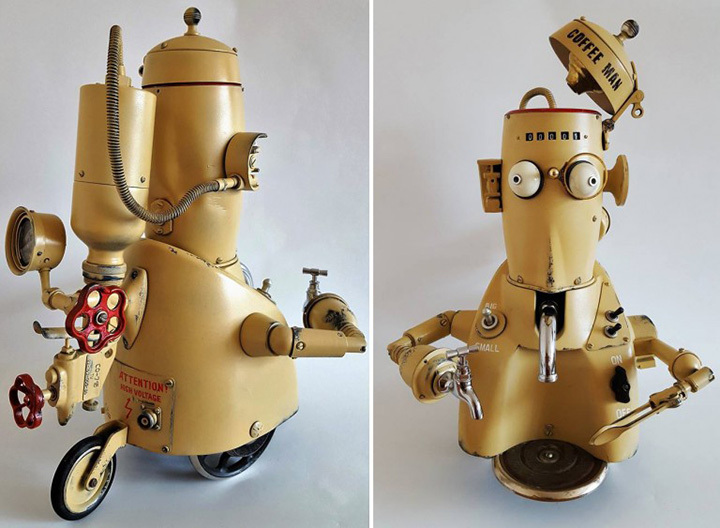 Likewise, he has created a number of fascinating artistic sculptures that even mess with your minds. 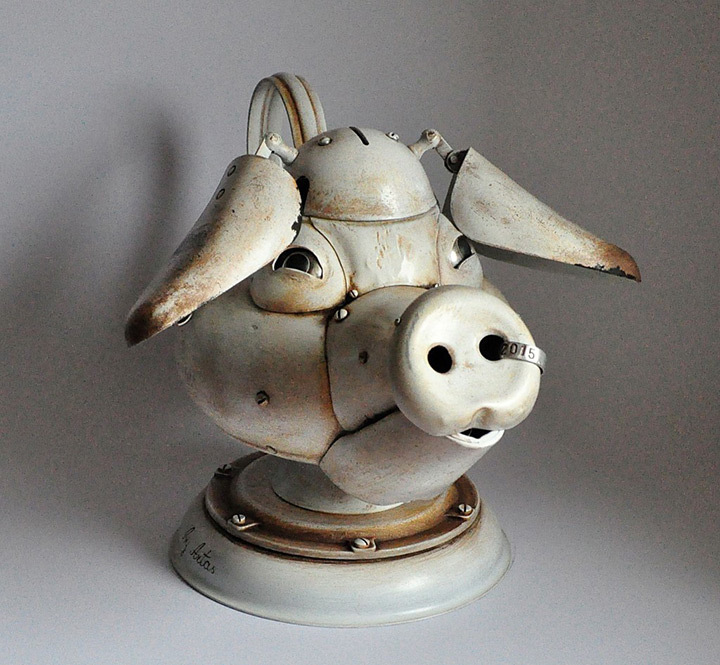 Visit Artūras's website to learn more.